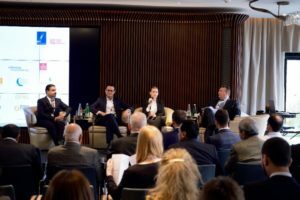 The Swiss Arab Network (SAN) and the Responsible Finance & Investment Foundation (RFI) are excited to announce the RFI Summit 2018. 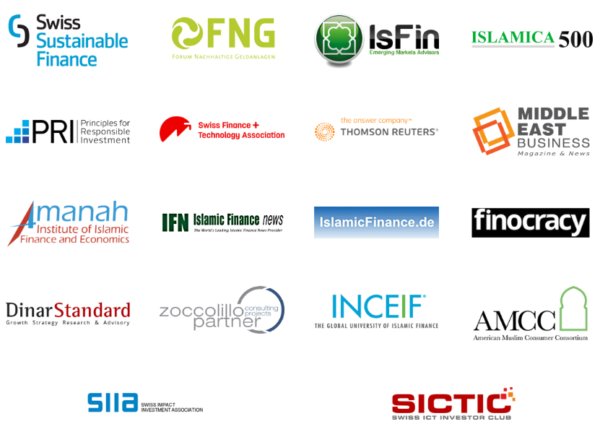 The RFI Summit will bring together 200 responsible finance leaders in April 2018 to discuss, share case studies and collaborate to identify actions that will mainstream impact finance across the financial sector to support more equitable, inclusive and sustainable economic growth. 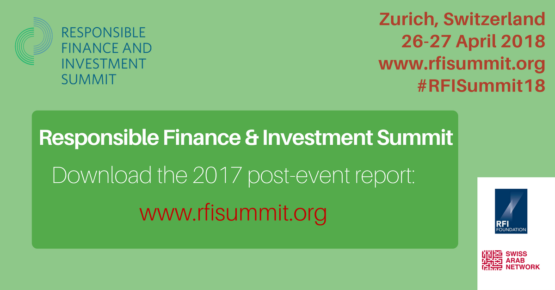 Read the full press release opening early-bird registration and announcing the release of the RFI Summit 2017 post-event report, which is available for download from the Summit website. Prepare for RFI Summit 2018 by reviewing the findings & recommendations from RFI Summit 2017. 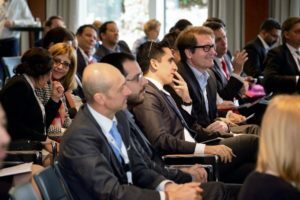 Download the post-event report, videos, photos, presentations and program guide from RFI Summit 2017. Contact info@rfisummit.org for sponsorship and partnership opportunities for RFI Summit 2018. WATCH THE SUMMIT VIDEO NOW: The RFI Summit featured keynote addresses delivered by H.E. Gov. Kairat Kelimbetov, Governor of Astana International Financial Centre (AIFC) and H.E. Ambassador Marc Bichler, Ambassador At-Large for Climate Change and Human Rights. Click above to watch a summary of the Summit.